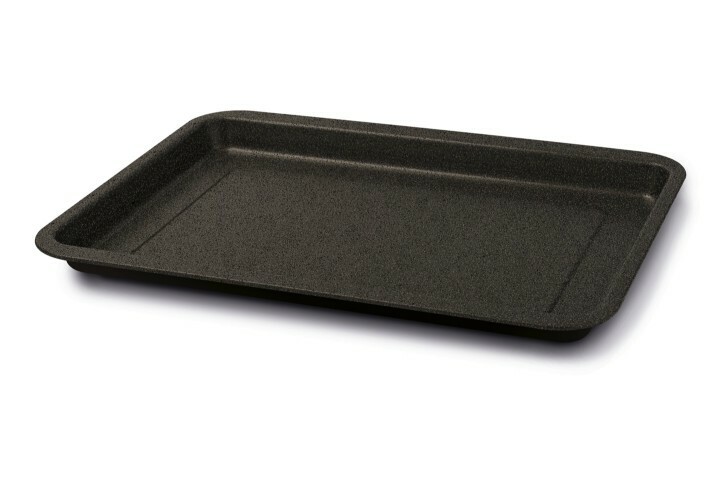 The rectangular baking trays are available in different sizes, to enjoy all the taste of Italian tradition: for baking biscuits and pizzas, with the guarantee of excellent baking results, as needed. Black Stone represents a new generation of non-stick coating that, thanks to the special mineral particles reinforcement, combines the non-stick properties with a higher resistance to scratches and use. Black Stone’s moulds are made of Hi-Top steel with a four layers of Skandia2 non-stick coating. Higher resistance to scratches and use. Non-stick coating reinforced with mineral particles.